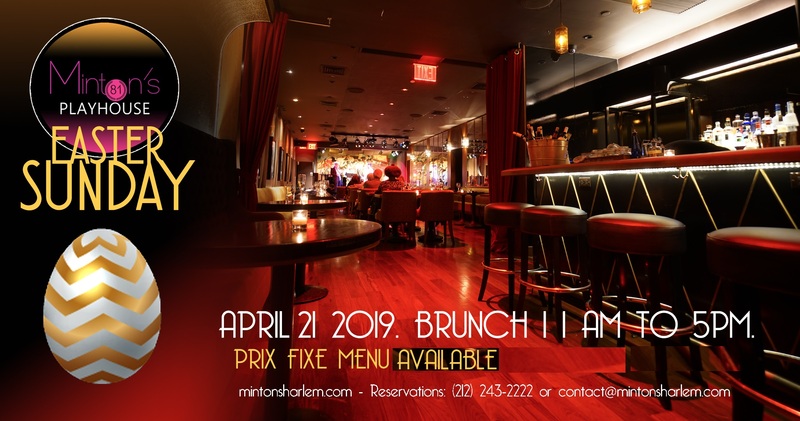 Minton’s Playhouse is celebrating Sunday Easter with a 3 Course Brunch Menu ($50) that includes a complimentary Mimosa, Sangria or Rum Punch and dishes like Angus Steak and Eggs, Chicken Raphael with Creamy Polenta, our signature dessert Tres Leches and decadent Chocolate Mousse. 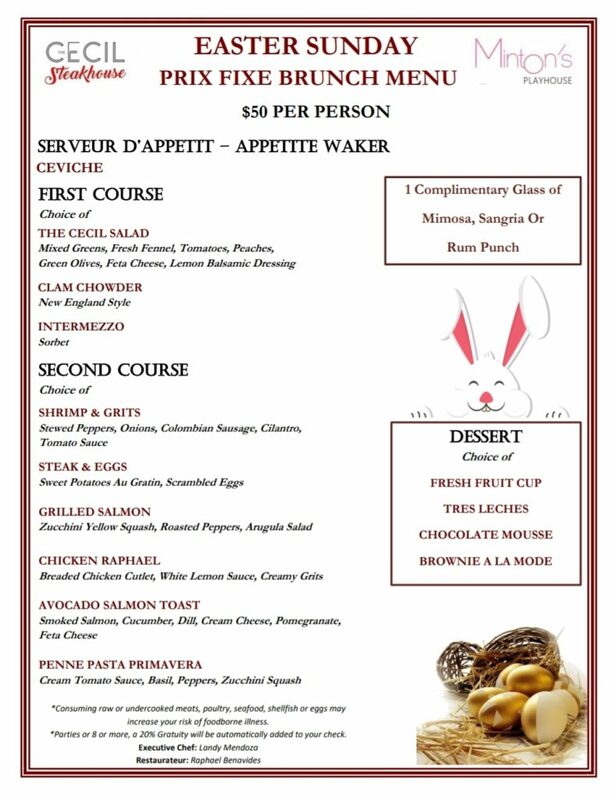 It is without a doubt the tastiest way to celebrate this springtime holiday. Beyond the meal, our guests will enjoy the iconic sounds of live jazz.